North America’s fifth-largest mobile phone manufacturer just launched a new device! 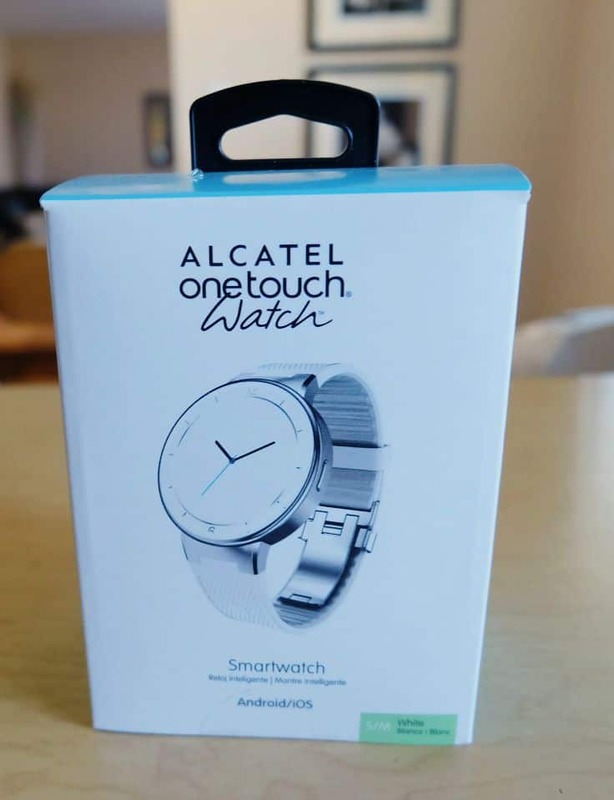 I had the opportunity to try out the ALCATEL ONETOUCH Smartwatch and am enjoying it so far! This is my first time trying a smartwatch and I was curious to see how they worked. 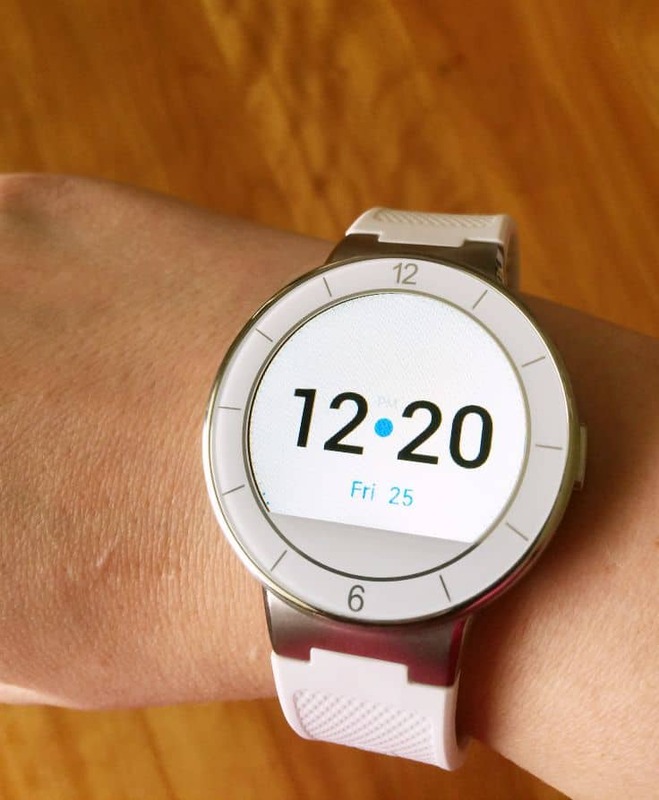 The first thing I noticed about the ALCATEL ONETOUCH Watch is it’s stylish design. Mine is white, but it also comes in black. I like a larger face on a watch and this one is the perfect size. It does so much more than tell time so I appreciate having that extra space. It also has a built in USB charger. I plug mine right into the USB port of my laptop to charge. There are no cords to get tangled or lose. I’m known for losing cords so the fact that it’s right there in the watch is a big plus. As for the battery life, it lasts up to 5 days depending on how much you use it. 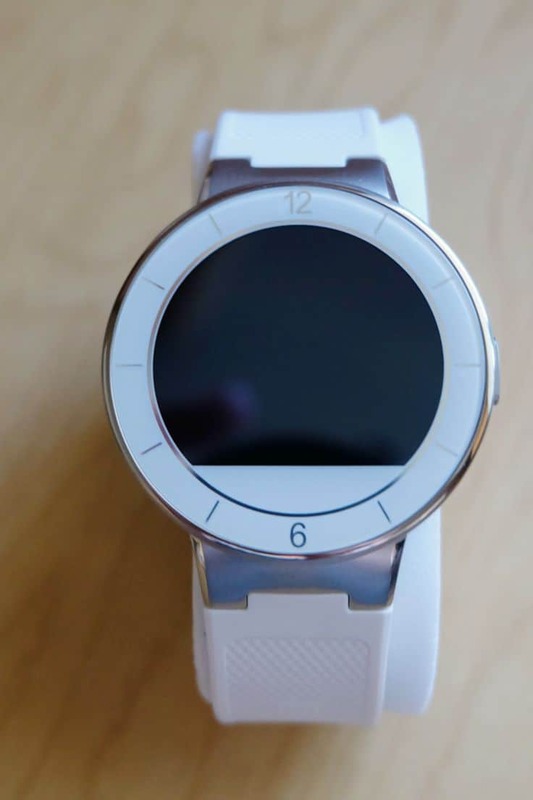 Pair your watch with any Android or iOS powered smartphone running either Android 4.3 or newer or iOS 7 or newer. During setup, you’ll download their proprietary app and pair the watch with your smartphone either through Bluetooth or NFC. I used Bluetooth to connect mine and was surprised how simple it was. After I turned it on, it basically walked me through the few short steps. So what does this smartwatch DO? Quite a bit. Obviously it tells time. Because it was paired with my smartphone, I also was able to read my messages. I set mine so the watch would vibrate when I would receive one. You can only read from the phone so you’ll still have to use your smartphone if you want to reply. You can access the watch dashboard by swiping and selecting which apps you want to use. 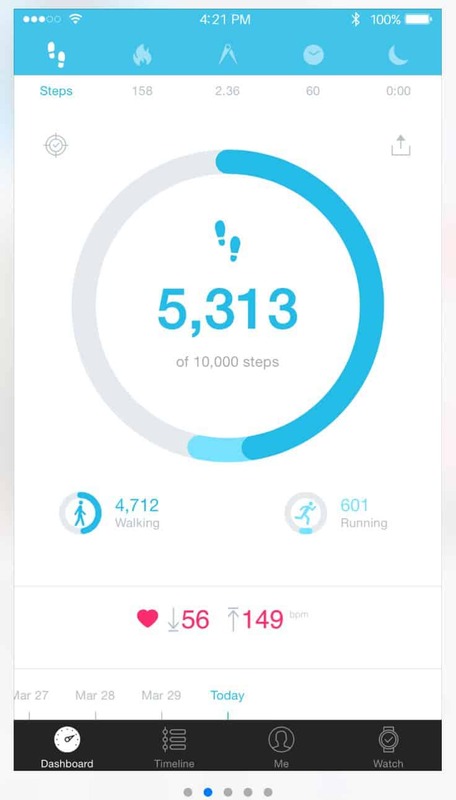 Fitness fans will love the fact that it monitors your activity. 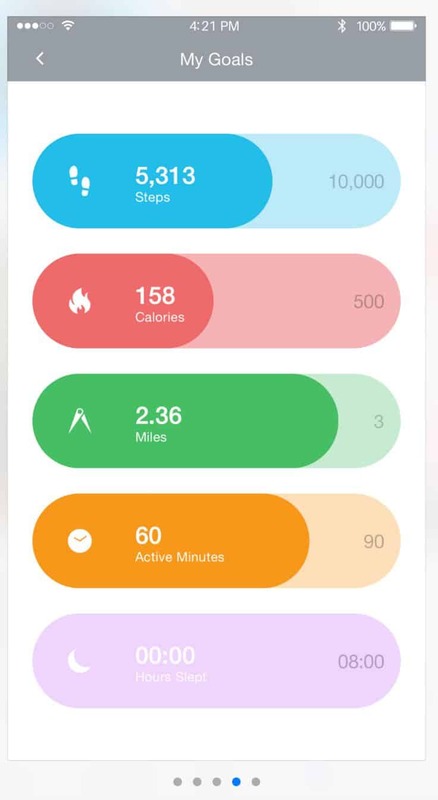 You can count steps, calories, set goals and lots more. 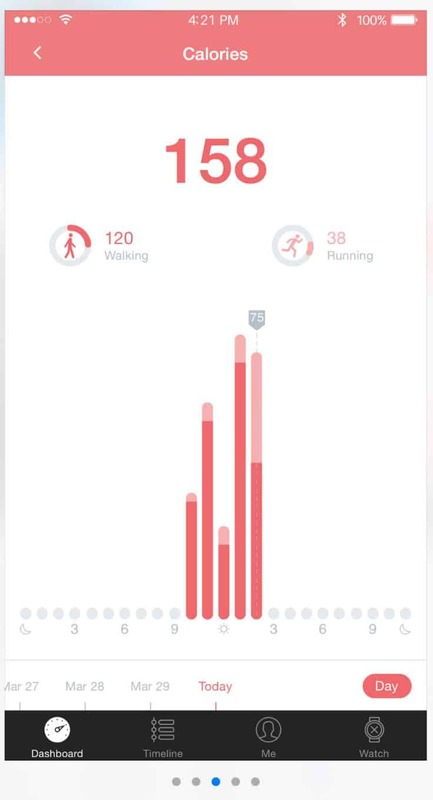 Use the app on your phone to see your daily progress. My mom saw my watch and wants one for herself. She enjoys running and walking so it will be easy for her to use to keep tabs on her day. With all its sensors, it can provide a lot of info! The sleep cycle tracking was neat. I’m always curious about the quality of my sleep. I also liked the heart-rate monitor. It showed me that I still have a high heart resting rate. I saw the doctor about it years ago, but nothing ever came of it. It might be worth asking him about again on my next visit. Other features worth noting include phone notifications, music, control your phone’s camera and a phone finder. As for the price, I expected it to be crazy expensive like other smartwatches I’ve seen online, but it’s quite affordably priced at $149 USD. 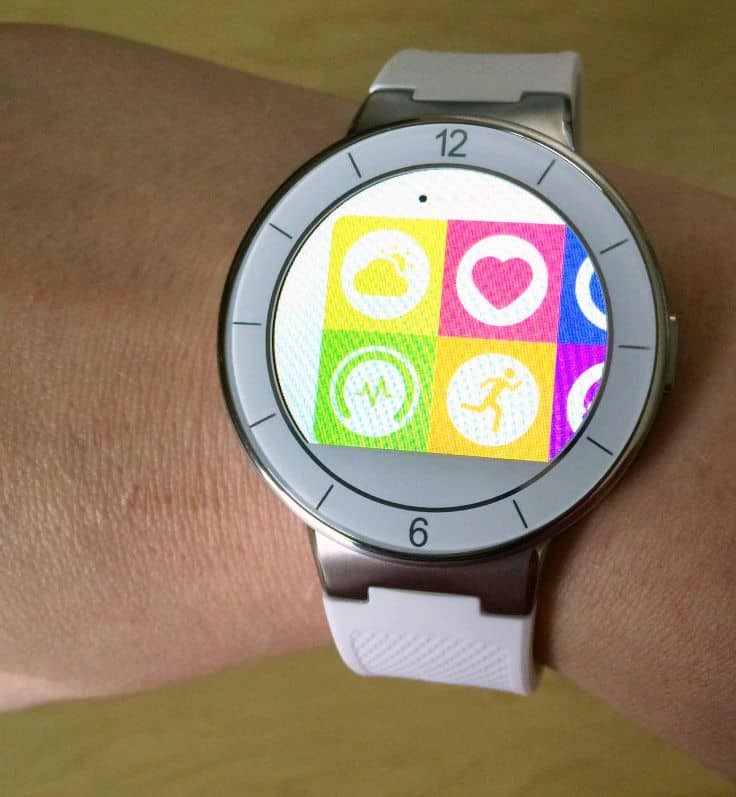 What is your favourite feature of the ALCATEL ONETOUCH Watch? Disclosure: I received product for review purposes. Opinions expressed are 100% my own. I like the style of this smart watch, but I don’t know if I can wear one, I have both my wrists tattooed and I heard these smart watches don’t work very well with the tattoo’s, something in the ink screws the watch up, at least this is what I heard, but I do like them!! I have been debating about getting a FitBit but I am thinking maybe this watch might be a better idea. Thanks for the review. 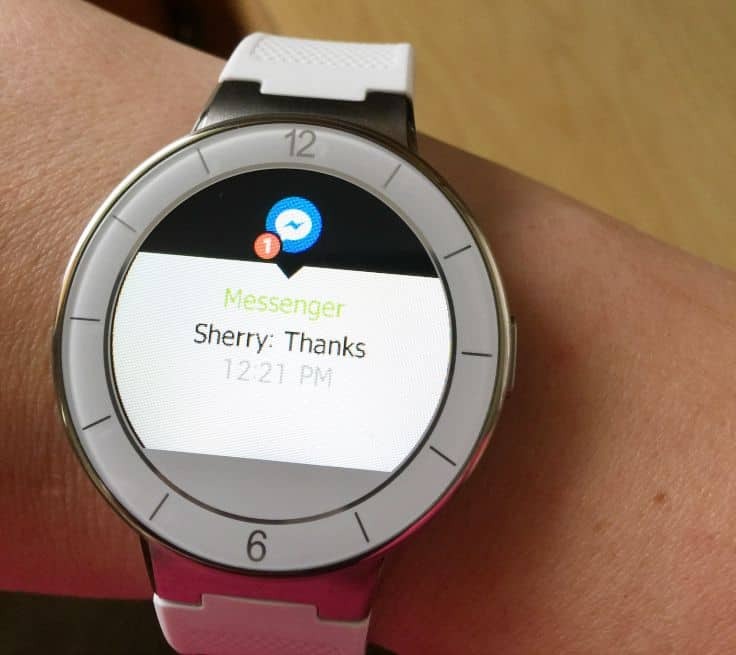 I like the fact that you can read messages on your watch.